Realme 3 Pro India launch date is April 22 i.e. next Monday. In the run-up to the launch, the phone is being teased regularly, and it is set to come with better features than the vanilla Realme 3 variant. The Realme 3 Pro will compete in India with the Redmi Note 7 Pro — among other phones — and is being touted by the company to pack great low-light photo-taking capabilities. A slew of camera samples have also been released by the company to exhibit the camera prowess. The phone’s specifications have also been leaked recently, revealing the presence of Snapdragon 710 and 6GB of RAM. Here’s a low down of everything we know so far about the Realme 3 Pro. Realme 3 Pro price in India will be revealed at its event on April 22. However, it is likely to be in line with the price of the Redmi Note 7 Pro, which starts at Rs. 13,999. It should also be around the Realme 2 Pro price in India, a phone that was launched in September last priced starting Rs. 13,990, and going up to Rs. 17,990 for the top-end 8GB RAM variant. Realme 3 Pro’s teaser page has gone live on Flipkart, and we can also expect it to be on sale on Realme e-store. The phone should be listed with launch offers next week, and the company is also teasing an R-Pass for exclusive purchase access to the Realme 3 Pro. 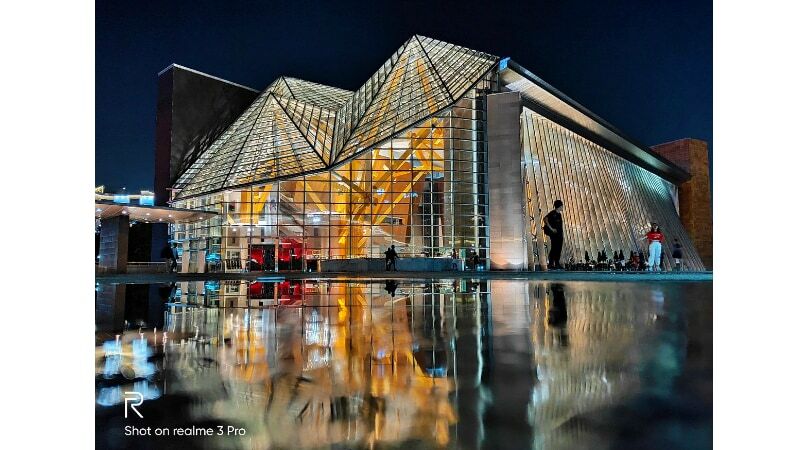 Realme Mobiles has been releasing a slew of camera samples for the Realme 3 Pro running up to the launch, showing off the phone’s selfie and rear camera capabilities. Initial camera samples of the Realme 3 shared by Realme CEO Madhav Sheth also suggested the presence of HDR support and a selfie camera with a resolution greater than 13 megapixels. The most recent ones reveal that the phone will be able to take stunning low-light photos, with great colour reproduction and detail. You can see a camera sample of the Realme 3 Pro above.